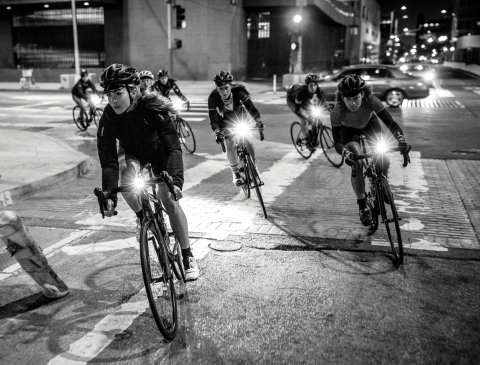 Liv riders and friends on an urban night ride, photo released today as part of the How We Liv global brand campaign. Photo courtesy of Liv. 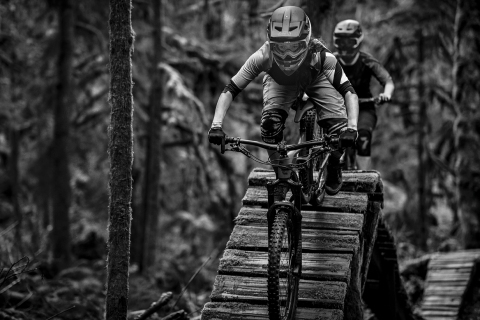 Liv enduro athlete Leonie Picton, known for being one of the top riders in the British Columbia Enduro scene, has big dreams and aims to conquer them aboard her Liv Hail Advanced--meticulously handcrafted around 160mm suspension to balance women on steep, technical terrain, up and down. Photo courtesy of Liv. Liv's award-winning Langma is built to fly up steep grades and long climbs, and is fit for endless switchbacks. The slender tubing and light weight combine for quick acceleration to conquer climbs, power through flats, rail technical descents and attack the group. Photo courtesy of Liv. TAICHUNG, Taiwan--(BUSINESS WIRE)--Liv Cycling, the company dedicated to getting more women on bikes, today reignites its How We Liv global brand campaign and shares data sources behind its 3F Design Philosophy—the information fueling the company’s engineering and design process for high-performance bike design. “At Liv, we take an innovative approach through our 3F Design Philosophy: Fit, Form, Function,” said Phoebe Liu, Chief Branding Officer. “Building bikes for women from the ground up using this lens is our brand compass, and this year we are excited to provide more transparency about our Fit data,” continued Liu. Liv’s 3F Design Philosophy manifests from more than 15 sources, including NASA published research, a Global Body Dimension Database and Aerospace Medical Research laboratory published research. Informing thousands of data points about women’s anatomy, sizing variations, muscle energy and outputs, these extensive studies are analyzed by Liv design teams and segmented into three significant layers of data: Body Dimensions, Muscular Activity, and Strength Patterns. Liv’s global brand campaign, “How We Liv,” this year features Liv Global riders Lesley Paterson, Shirin Gerami and the wild ideas that fuel their passion to ride, while encouraging women to push their personal limits and form community through cycling– a sentiment the brand believes can lead to joy and empowerment. As part of the campaign and in honor of its 10-year anniversary, Liv also introduced its global #WildIdeasContest, calling on all visionaries, courageous dare-takers, and wild souls to share their personal narratives, further igniting the movement of women everywhere to ride and share stories of bike adventures. In 2007, Liv founder and CEO Bonnie Tu went on a bike ride and found bikes and cycling clothing didn’t fit her. It was then that Tu declared, “If there isn't a brand suitable for female cyclists, then I should create one.” Liv brand was launched in Taiwan the following year on April 22nd, 2008 (Earth Day) with a media cycling Tour de Taiwan and opening its first retail shop in Taipei. Liv Cycling is now available around the world and has one of the largest ambassador programs in cycling, with more than 400 riders. “This decade has been a tremendous journey. Today we renew our commitment to helping build community while making the best bikes for women around the globe,” said Tu. Liv is the only cycling brand in the world dedicated solely to women. 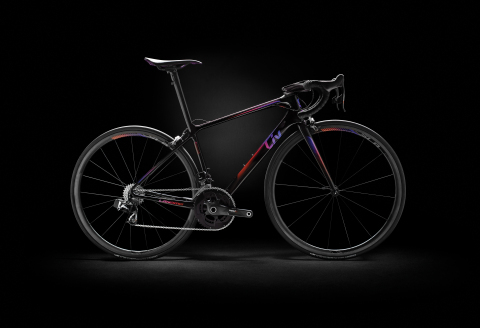 Founded in 2008 by Giant executive Bonnie Tu as part of the Giant Group, Liv creates innovative bicycles and gear to fit and perform at the highest level. Liv aims to empower all female riders from beginners to pros. With a global team of retailers, athletes and events, plus a growing online presence focused on riding skills, bike maintenance, nutrition, travel, and other experiences – Liv strives to support community and be the number one resource for women cyclists around the world. For more information, visit liv-cycling.com. Liv Cycling today reignites its How We Liv global brand campaign and shares data sources behind its 3F Design Philosophy.